History — Pet Pals, Inc.
Pet Pals started in 1990 with a dream of providing unique, upscale boarding and grooming services for pets in Northwest Indiana and the surrounding areas. It was started by Julie Getz and Peggy Swain, long-time friends and animal lovers! It started out with a grooming facility located on 9th Street in Michigan City - a small space with enough room for a few groomers and the hard work needed to move to the next step of their dream. The next step involved a brand new, innovative building dedicated to pet services of boarding, grooming, and retail. The building was 5000 square feet with a lobby, grooming room, 45 boarding runs, and an apartment for the full-time caretaker. Pet Pals provided something the area had never seen before - a business and facility that was solely dedicated to pampering pets. Julie and Peggy took their love of animals and desire to serve other animal lovers and their family members and created a comfortable, homey place for pets to stay while their owners were away. The boarding area was full of large, roomy runs with heated floors that sloped gently towards drains to keep the pets from having to lay in wetness. 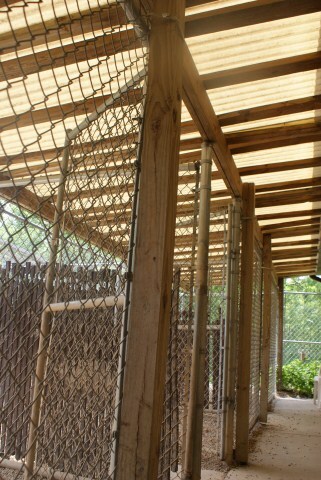 The runs were various sizes to accommodate all varieties of pets and pet families. The pets were fed a high-quality food and given their medications at no charge. Most of all, each pet was provided with individual attention that included multiple daily walks outside. This model was labor intensive and included lots of long hours. 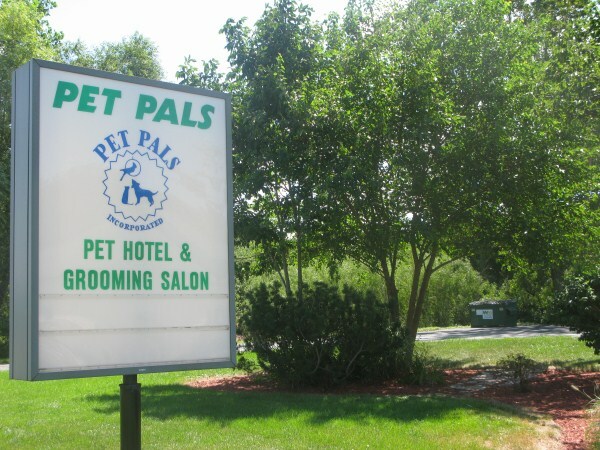 But the long hours were worth it, because Pet Pals quickly became known as the premier place to go for pet lodging and grooming in Michigan City and the surrounding areas. The happy road Pet Pals was on took a sad turn in 1995 when Peggy passed away after a battle with cancer. After Peggy's passing, Julie took over as sole owner of Pet Pals. Although saddened by the loss of her friend, Julie was determined to keep moving forward with their dream. 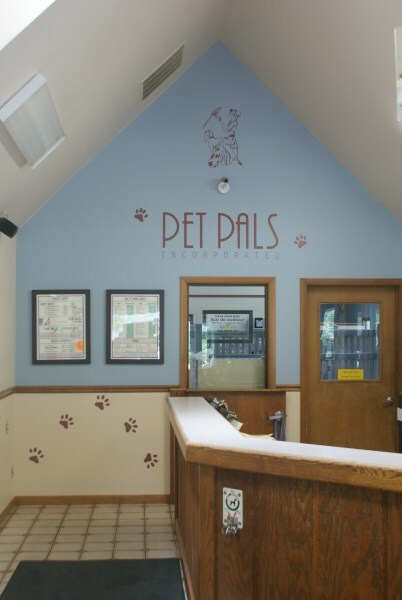 The next phase of Pet Pals involved a remodel in 1996, and then a building addition in 2001. 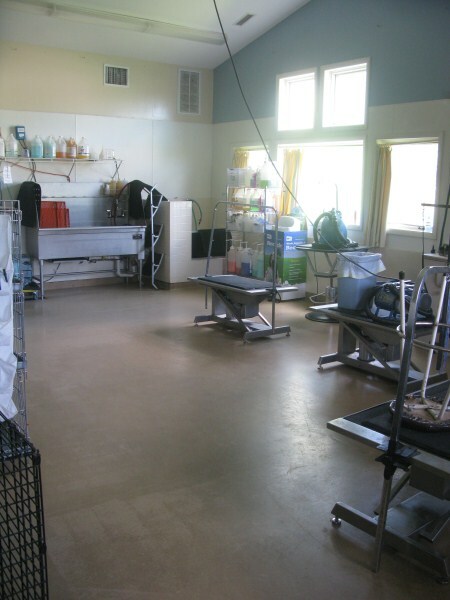 The addition provided 2100 more square feet of pet care space, with 20 additional runs, a new and improved 1200 foot grooming area, a separate and secluded cat boarding area, and a dedicated retail area. In 2015 Pet Pals celebrated 25 years of providing unique, caring services for pets and their owners. Through it all, we have been dedicated to giving the community a warm, family-atmosphere to take their pets for a day of pampering or for their own vacation while their owners are away. We are excited to continue to be the place where your friends stay with friends!